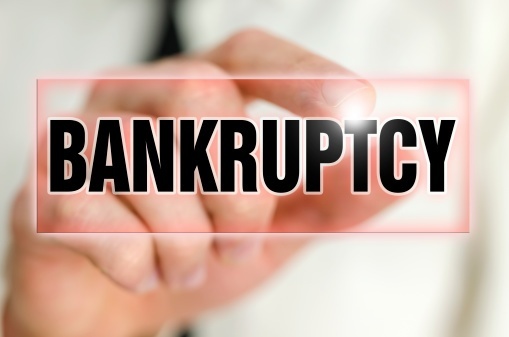 The Federal Bankruptcy Code allows for exemptions in property up to certain amounts to a debtor filing bankruptcy. The exemptions protect property from being liquidated. If the value of your property is less than the amount of your allowable exemptions, nothing will be liquidated and all of your creditors wiped out. Many of our clients are surprised to learn that none of their assets will be liquidated and they can wipe out or discharge all of their debt. Value in Real property, home, mobile home, co-op, or burial plot: up to $20,200. Up to $10,125 of this amount may be used as a wildcard and applied to any kind of property. Thus if you do not use the $20,200 for Real Estate you can use the wildcard of $10,125 to protect any asset. Life insurance policy accrued dividends: up to $10, 755. You can have cash surrender value in Life Insurance policy up to this amount. Any and all Unemployment, disability, and illness benefits. On a policy taken out from someone that the debtor depended upon, the entire amount that is necessary for support is exempt. Any child support and alimony that is necessary for support. All amounts in retirement accounts that are tax exempt. Accounts such as 401(k)s, 403(b)s, SEP, SIMPLE IRAs, Erisa qualified pension plans are completely exempt. IRAs and Roth IRAs: up to $1,095,000 per person. Car or automobile up to $3,225 is exempt. Household goods, furnishings, clothing, etc. up to $525 per item and up to $10,775 total. Recovery for the wrongful death of a person on whom the debtor depended: all. Recoveries for personal injury (excluding amounts for pain and suffering and pecuniary loss): up to $20,200. Payments for lost earnings: all. Implements, tools, and books: up to $2,025. Any property: up to $1,075. Any property: up to $10,125 of the unused homestead exemption. Most states have their own statutory scheme of exemptions that serve to replace the federal exemptions. You do not, however, get to use both the Federal and State exemptions. You must choose between one or the other. Some state exemption schemes are more favorable than the federal. In New Jersey the Federal exemption scheme is much more favorable than the state exemption scheme. There are, however, some specific cases where you would want to choose the New Jersey state exemption scheme over the federal scheme. For example, a workers' compensation award is totally exempt under the New Jersey exemption scheme but not the Federal. Also, proceeds from life insurance paid to the debtor as a beneficiary are totally exempt. It is confusing and you stand to potentially lose or save substantial property by claiming the right exemption at the right time. Seeking competent bankruptcy counsel from one of our New Jersey or New York attorneys is essential. Typically, the Bankruptcy Courts in New Jersey will also allow a deduction when analyzing whether property should be liquidated for hypothetical disposal costs. Hypothetical disposal costs are pretend costs of sale in the event property is liquidated. Typical items that would be included in disposal costs are the costs of sale, such as commission to a broker, attorney fees, advertising, etc. New Jersey courts usually allow 10% hypothetical disposal costs. The most common analysis on hypothetical disposal costs occur is with a home. Calculating the figures above, there is a negative $200 left over. Thus, the person in this example would be able to save their home in a Chapter 7 Bankruptcy and wipe out their unsecured debt. This is so despite that at first blush it appears that there is $30,000 in equity in the home. The primary reason it becomes exempt is because the debtor is entitled to hypothetical disposal costs of ten percent (10%). Understanding your exemptions is one of the most important legal issues prior to filing a bankruptcy so consultation with an attorney is critical. Call one of our New Jersey or New York bankruptcy attorneys for a FREE Consultation.